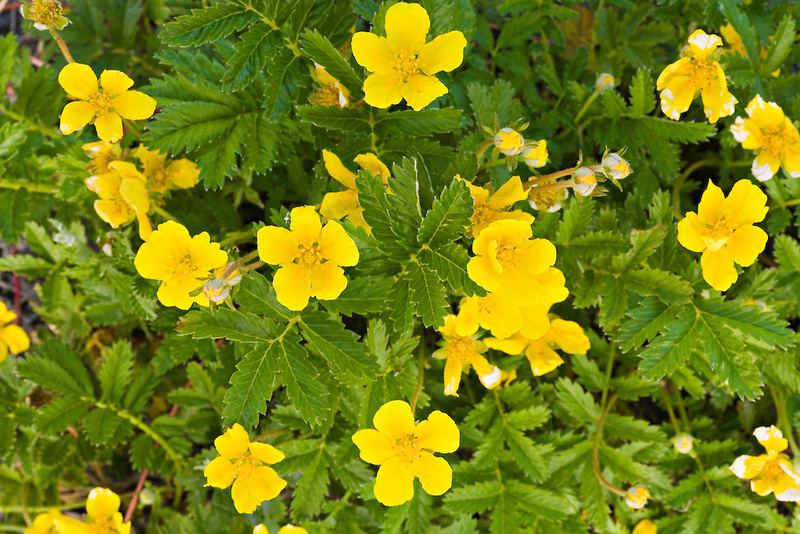 Closeup of Beach Cinquefoil at Eklutna Flats in Southcentral Alaska. Spring. Morning.